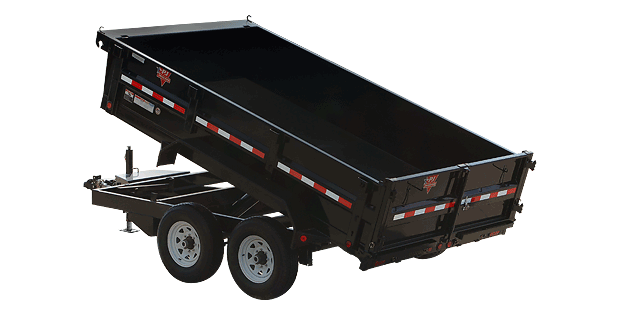 Our dump trailers are rated for up to 10,000 lbs. and are equipped with hydraulic surge brakes, which do not require an electric brake controller in order to have trailer assisted stopping. 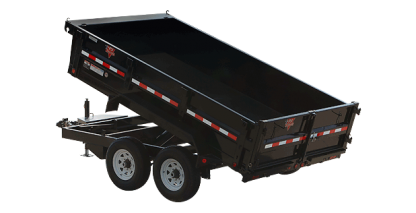 Our dump trailers are rated for up to 10,000 lbs. 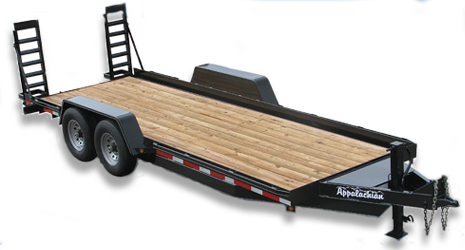 and are equipped with hydraulic surge brakes, which do not require an electric brake controller in order to have trailer assisted stopping. The heavier the load, the stronger the brakes will enact while decelerating due to heavier momentum force. 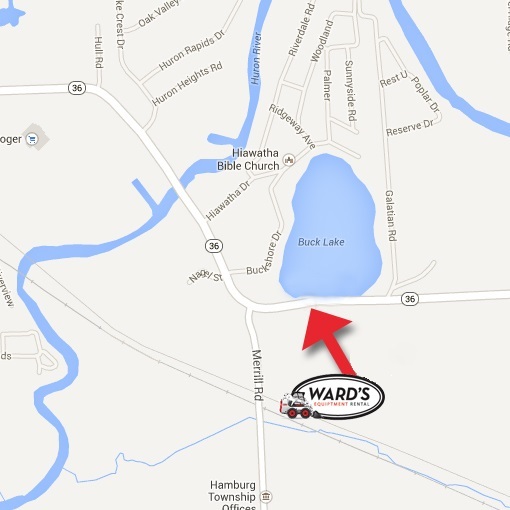 Our insurance requires a minimum 1/2 ton vehicle with frame mounted receiver hitch and insert with a 2-5/16″ ball. (Complete insert with correct ball size available for rent if needed). 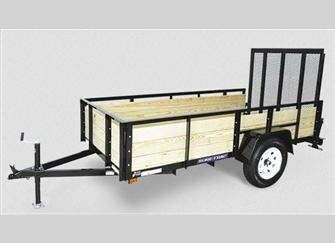 Vehicle size required also depends on the curb weight of the load you intend to haul with the trailer. Check your vehicle, hitch, and ball mount weight ratings to ensure your load does not exceed its maximum limits. 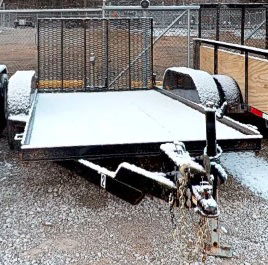 If you are unsure if your trailer/load combination is safe, please ask one of our customer service professionals to suggest whether or not we would recommend your application of use.